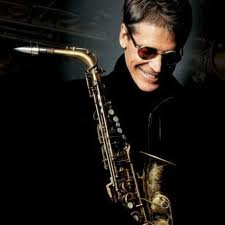 Smooth Jazz owes a lot to pioneers like Sax Master David Sanborn. While he is a forced to be reckoned with as a musician, he has another great gift which he shared with those of us who were fortunate enough to tune into him early on. That gift was his ability to assemble one of the hottest bands to back him up. He knows how to assemble a hot band that is sure to bring down the house. You will know what I’m referring to after watching the video below. One of the most commercially successful American saxophonists to earn prominence since the 1980s, Sanborn is described by critic Scott Yanno as “the most influential saxophonist on pop, R&B, and crossover players of the past 20 years.” His band had such regulars as Hiram Bullock and Marcus Miller. Marcus Miller penned many of his big hits, including the one in this video, which also features Hiram Bullock on guitar. In his three and-a-half decade career, Sanborn has released 24 albums, won six Grammy awards and has had eight Gold albums and one Platinum album. He continues to be one of the most highly active musicians of his genre, with 2010 tour dates exceeding 150. He has been a highly regarded session player since the late 1960s, playing with an array of well-known artists, such as James Brown, Bryan Ferry, Michael Stanley, Eric Clapton, Cat Stevens, Roger Daltrey, Stevie Wonder, Paul Simon, Jaco Pastorius, the Brecker Brothers, David Bowie, Todd Rundgren, Bruce Springsteen, Little Feat, Tommy Bolin, Bob James, James Taylor, Al Jarreau, Pure Prairie League, Kenny G, George Benson, Joe Beck, Donny Hathaway, Elton John, Carly Simon, Linda Ronstadt, Billy Joel, Kenny Garrett, Roger Waters, Steely Dan, the Eagles, and The Grateful Dead. Not too shabby, huh? I’ve had the honor of meeting Mr. Sanborn on a couple of occasions. 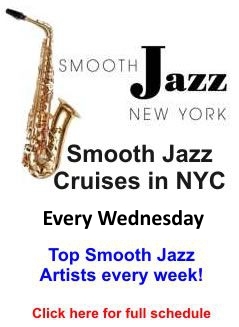 A friend, Nick Moroch, performs with him frequently, which is how the honor was even bestowed upon me and I’m happy to report that the iconic sax player is a gentle, respectful and a nice all-around human being. These personal qualities are a great addition to an already impressive resume. I’d like to share one more Sanborn song with you. It is one of the most beautiful melodies I’ve ever heard. I’d love your feedback on these tunes, these players, and these compositions. They just make me smile! 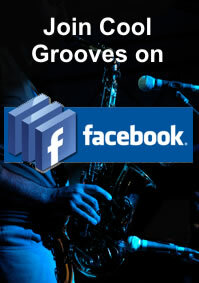 This entry was posted in Artists and tagged contemporary jazz, david sanborn, fusion, smooth jazz. Bookmark the permalink.